People from other cultures sometimes help us see the world more clearly, or at least differently. Robert D. Kaplan, in his book Monsoon: The Indian Ocean and the Future of American Power, shares some of the ideas of Rabindranath Tagore, a Bengali poet who won the Nobel Prize for literature in 1913. Now that’s not normally how we talk about war in America–speaking of it in contrast to beauty. Here we tend to say war is a terrible thing that should be avoided at all costs but at times it is the right thing to do. And when one is fought for American interests then we honor the soldiers who are willing, if not always required, to offer up their lives in the cause. And we surely erect momuments to remember wars and the sacrifices made. I’m not sure I agree with or disagree with Tagore. The beauty connection is just strange to my western way of thinking. I will say that I think we Americans too often take the position of “America right or wrong.” I’m not prepared to shelve my judgment at the altar of politicians in Washington. I definitely believe the war in Iraq was an unjust war in traditional Christian terms; as a result, I believe America was wrong to fight it. While saying that, I do commend and honor the soldiers who carried out their responsibility and served our nation. They did a noble and honorable thing in doing their duty. Well said, if I may be so bold as to pass judgment on a Nobel laureate. Of course, it moves us to the important question: What is the highest good? Jesus said it is to love God and love others, and I’m confident he meant for us to love the people beyond our national borders, even those we adamently disagree with or who threaten us. I love that. It’s an elegant way of saying what I sometimes think when I see a “God Bless America” bumper sticker. I do share that prayer; I pray for God to bless America. But I also pray for God to bless all the peoples of the world. I’ve met too many of them not to love them and want God’s blessings for them, as well. So here’s a tip of the hat to someone long dead of whom I had never heard before reading Kaplan’s book. Thank you, Rabindranath Tagore. A. Rabindranath Tagore was more than many Nobel Laureates. But his winning of the Nobel Prize was a political consolation for the Hindu terrorist movements launched in Bengal in the early days of the 20th century. B. Rabindranth Tagore was not the recommendation of the Nobel Committee. The Nobel Committee named somebody else. The name of Rabindranath Tagore was not even in the short list of the Nobel Committee. C. Rabindranth Tagore was awarded the Nobel Prize neither as a Bengalee nor as an Indian. He was awarded the prize as an “Anglo-Indian”. D. Rabindranth Tagore never made any so-called prize receiving speech. E. Rabindranth Tagore only sent a two line prize acceptance message. F. The prize was accepted by the British Ambassador and it was delivered to the poet in Calcutta. G. It appears from the information, now available, that Rabindranath Tagore was awarded Nobel Prize in consideration of his successful attempt to intermingle the Western Christian-Hindu philosophy. I shall very much welcome exact and objective reply from the esteemed readers of this Group. I have been planning to publish a very small book on the subject: Nobel Prize for Rabindranath Tagore in 1913: some untold stories. All the points raised in my message are based on facts. But I would like to get more information on the subject. Help from others will greatly help in the publication of the book with more information. However, for the information of all concerned, I would like to point out that Rabindranath was a Brahmo ( a reformed group of Brahmins of the so-called Hindu community of India). The word ‘Hindu’ never existed to identify any religion before the emergence of the British Raj in India. It was invented by Raja Ram Mohan Roy in collaboration with the British colonial rulers. This the Britishers did with a view to getting the united massive force together against the defeated Muslim rulers of the then India. As such, until the early last century, we find that 99% civil servants, lawyers, judges, engineers, doctors, professors etc. under the British Raj in India were from the Hindu community only. The fourth class employees like peons, messengers, bearers or guards are not included. Brahmos allowed the conversion of even the low caste Sudras. But in fact, all Brahmos were Hindus. This was well understood by the British Rulers of India. Rabindranath Tagore was not very vast in literary productions in the first decade of the last century. In fact, excepting the limited 250-copy English edition of Gitanjali, hardly there was any English version of Rabindranath Tagore’s other books. Not to speak of any Asian, until 1913 even any American was not awarded the Nobel Prize for Literature. Rabindranath Tagore was in the spiritual lineage of Raja Ram Mohan Roy, Swami Vivekananda, Ramakrishna and others. In the lyrical lineage he was obviously reflecting D.L. Roy, Lalon Fakir, Atul Prasad Sen and others. Rabindranath Tagore was a pro-British wealthy successor to the vast property left by his grand father Dwarakanath Tagore. In the first decade of the 20th Century he was the leading-most Bengalee intellectual friend of the British Rulers in India. During the last decades of the 19th century and in the early 20th century there were popular uprisings, known as the ‘Terroist Movement’ in Bengal. Khudiram Bose was young recruit by such leaders of ‘Terroist Movement’ in Bengal. The British Rulers were very much disturbed by the widespread activities of the volunteers of ‘Terroist Movement’. They needed to pacify the Bengalees. Nobel Prize for Rabindranath Tagore was an attempt in that direction. Rabindranath Tagore was not known to the West in the first decade of the 20thth century; hardly any body could have had access to his English edition of Gitanjali; this is obvious from the fact that Rabindranath Tagore was named in the short list of the Nobel Committee for the award of the Nobel Prize for literature in 1913. It was said that Rabindranath Tagore was knwn to the Swidish Academy as an ‘Anglo-Indian poet’ and not either as an Indian or as a Bengalee. In addition, Rabindranath Tagore did not visit Sweden or Norway before or after being awarded the Nobel Prize. The British Ambassador received the prize for and on behalf of Rabindranath Tagore and it was confidentially delivered to Rabindranath Tagore at his Jorasanko residence in Calcutta. Had there been no Khudiram Bose or ‘Terrorist Movement’, perhaps there would have been no Nobel Prize for Rabindranath Tagore. Even hundreds of Gitanjali could never open the passage of Nobel Prize for Rabindranath Tagore for Literature in 1913. Of course, the high diplomatic circles and political decision makers in London did not like to take any risk and responsibilities and they decided, more or less during the same period, to shift the capital of the British Raj from Calcutta to New Delhi in 1911. My friend, I’m afraid my ignorance is much, much greater than my knowledge on this matter. I appreciate you sharing your insights. I hesitate to say anything in reply for fear my lack of understanding will get me in trouble, but I will venture a couple of thoughts. 1) This seems to be yet another example of the blindness the West had, and still has, to issues in the East. 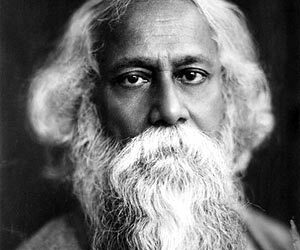 2) Terrorism under any guise disturbs me; therefore, if Tagore opposed it then that is another reason to honor him. 3) I desire to know much more. Thank you, Shamsud, and good look on your book.